The idea of ​​inductive charging for electric cars is almost as old as the electric car itself, but from 2018 onwards, it will become reality. 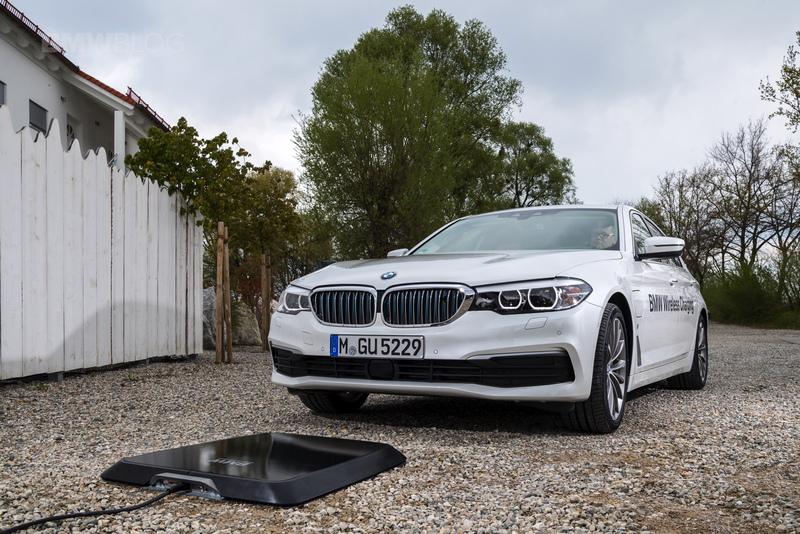 BMW Wireless Charging is the technology that will initially be available for the BMW 530e iPerformance and shortly thereafter for other electric cars and plug-in hybrids from Munich. With the help of a special loading plate and, of course, a correspondingly equipped car, the plugging in of a charging cable will thus be superfluous. The prototype shown now uses a base plate with an integrated primary coil. 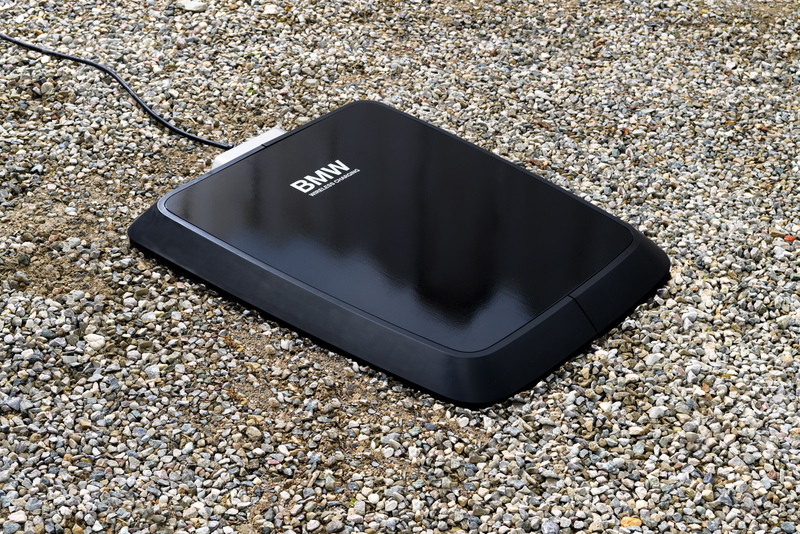 The floor plate can be used both in a garage and outdoors, and can charge the lithium-ion battery of the car in combination with a secondary coil installed on the vehicle floor. A magnetic alternating field is generated between the two coils, with an output of up to 3.2 kW which can be transmitted inductively. 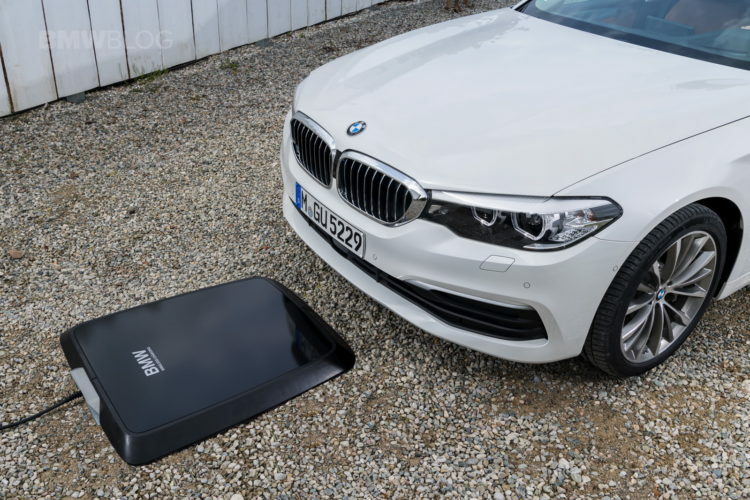 If the 530e iPerformance is parked over the BMW Wireless Charging loading plate, the battery can be fully charged within 3.5 hours. When maneuvering onto the loading platform, the iDrive system helps its driver with help lines and an exact display of the required position of the vehicle. Of course, the floor slab is designed so that it can also be crossed without taking any damage. After the BMW 530e, additional models with the optional BMW Wireless Charging package will be available within a short time. In addition to the vehicle, the floor plate must also be bought for operation, which can be obtained from the dealership, similar to conventional wallbox solutions from BMW i and iPerformance. 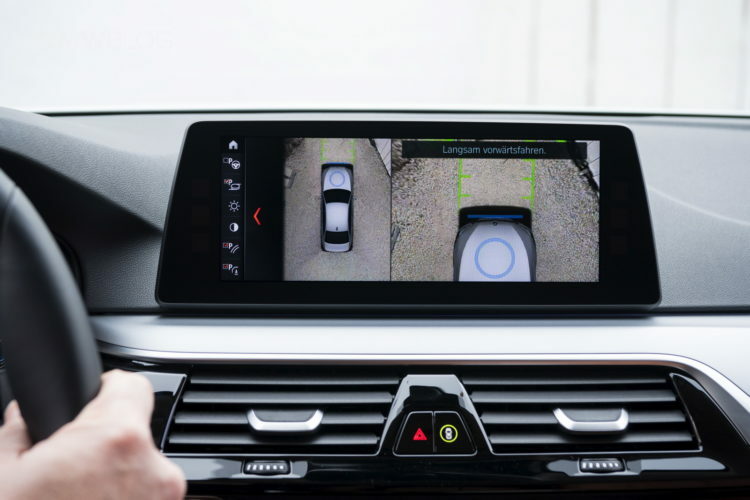 According to the BMW, the price is not yet fixed, but it should only be slightly above the current BMW i Wallbox Pro, which is currently priced at around $900. 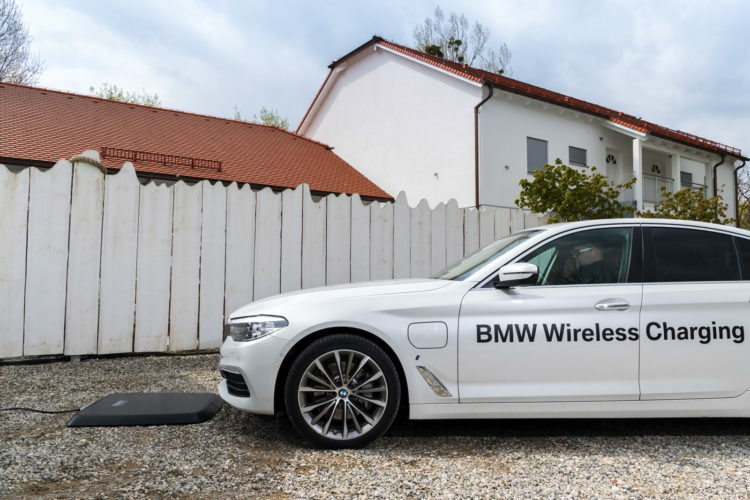 It goes without saying that the BMW Wireless Charging technology will be available for other current models such as the 330e, 740e, i8 and i8 Spyder shortly after its market launch in 2018.